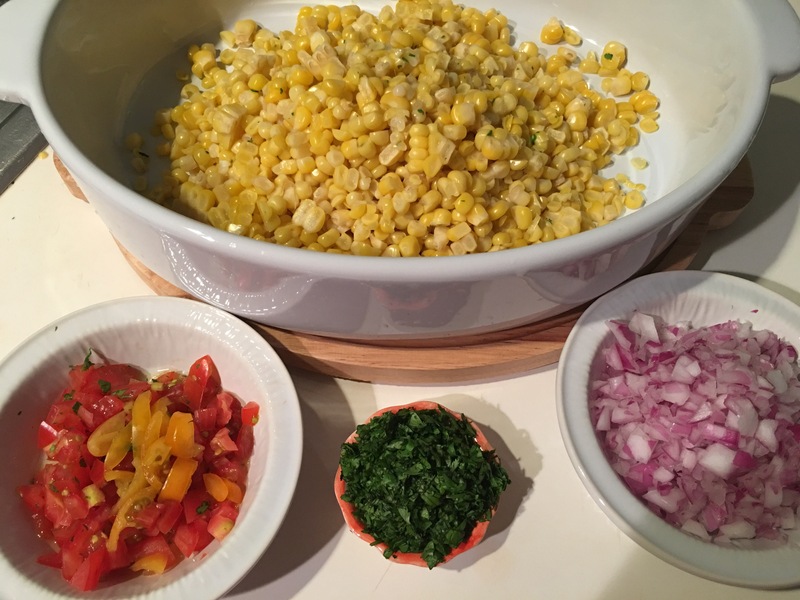 Vegan corn salad with cilantro and lime – Hurried Home Chef! Going to a potluck comes with the decision of what to bring. Healthy? Cheesy? Dip? Salad? I try to bring something that would appeal to many. 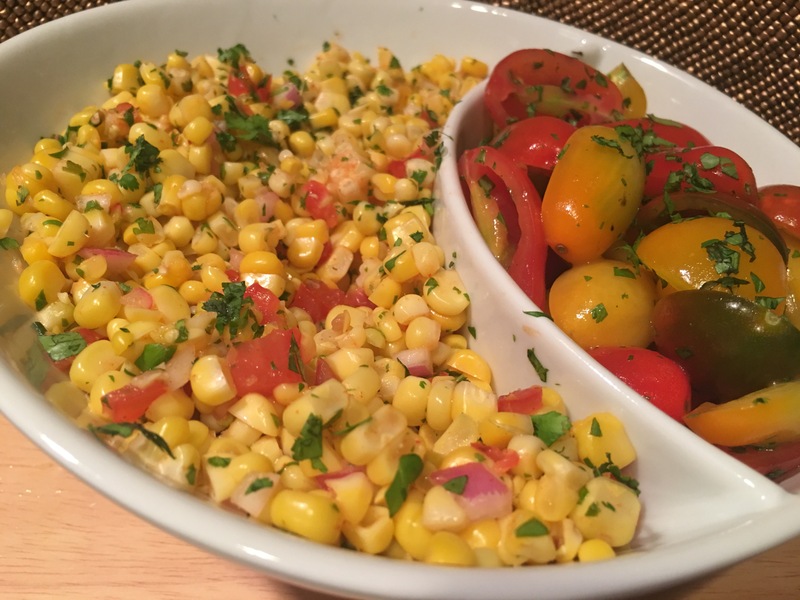 A corn salad is simple and can be a side dish or a dip. I soak them in the sink for about 30 minutes while I’m doing other things. 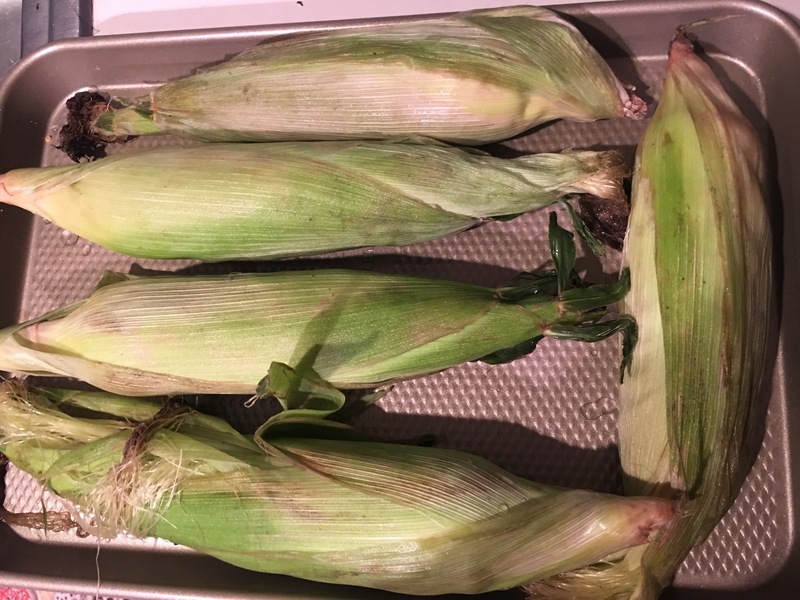 Do your best to get non-GMO organic corn if you can. I used 1 cob per adult since it was a side dish and less than 6 people. Put it in the oven at 350 with a little water in the pan. Time it for 20 minutes then turn off the oven. Take it out and let it cool for a bit. 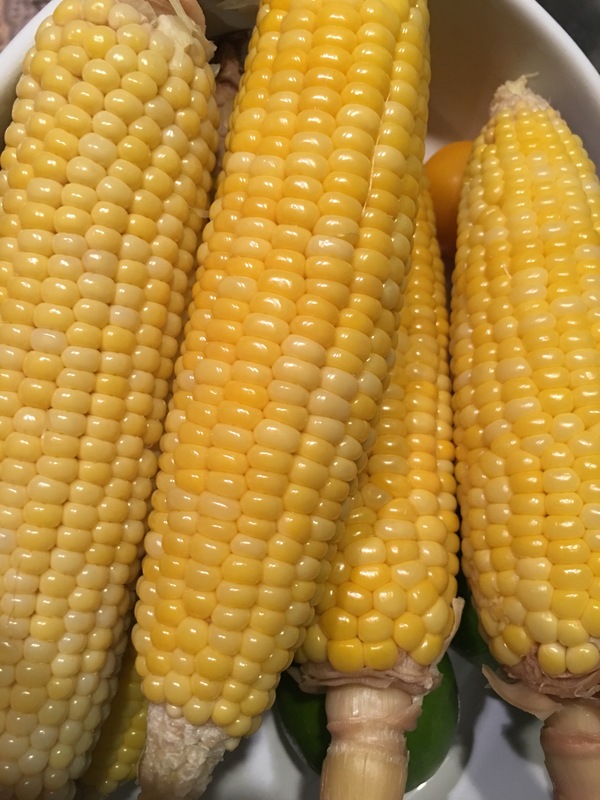 Shuck it and cut off the cob. 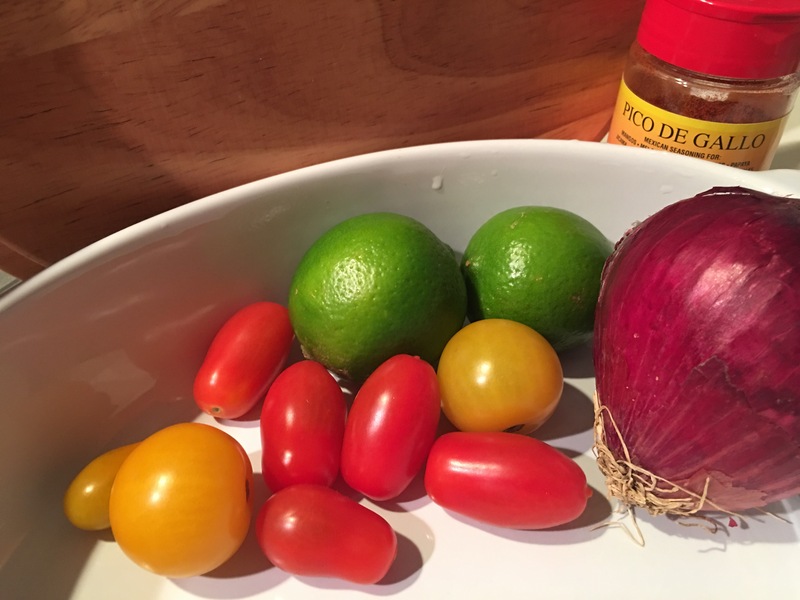 Here I chopped some red onion, cilantro, tomatoes and lime. I was making this vegan, so all I used were these ingredients plus salt and chili pepper. 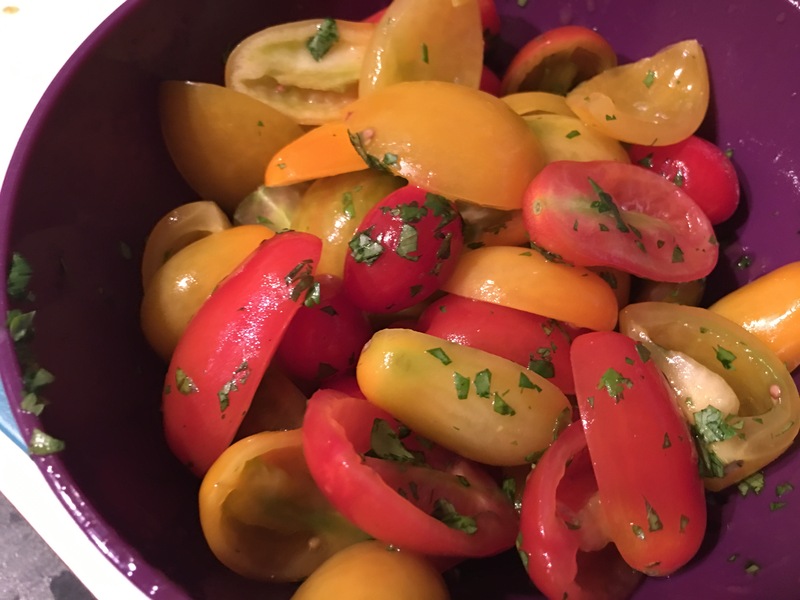 I added the rest of the tomatoes that I cut in half and squeezed out the guts. Then I tossed them with a little EVOO, cilantro, salt, and chili pepper. If dairy is not a problem for your crowd, you could crumble some queso fresco and serve this as a dip with tortilla chips. If you want it hot, you can take away the lime and add a block of cream cheese per 4 cobs, top with shredded cheddar and bake until bubbly. Previous Post Rolled Eggplant from the kitchen in Italy! Next Post Packed lunch for a sailing trip!